Benjamin “Ben” Adams (1855-1910), son of Joseph and Dicy (Mullins) Adams, was a prominent logger, splasher, distiller, and tavern operator at Warren-Spottswood in Logan County, WV. He was a key participant in the Lincoln County Feud. Ben Adams residence (built 1892), located on Harts Creek between the mouth of Trace Fork and Smokehouse Fork in Logan County, WV. Photo taken c.1995. Ben Adams well, Trace Fork of Harts Creek, Logan County, WV. Photo taken c.1996. 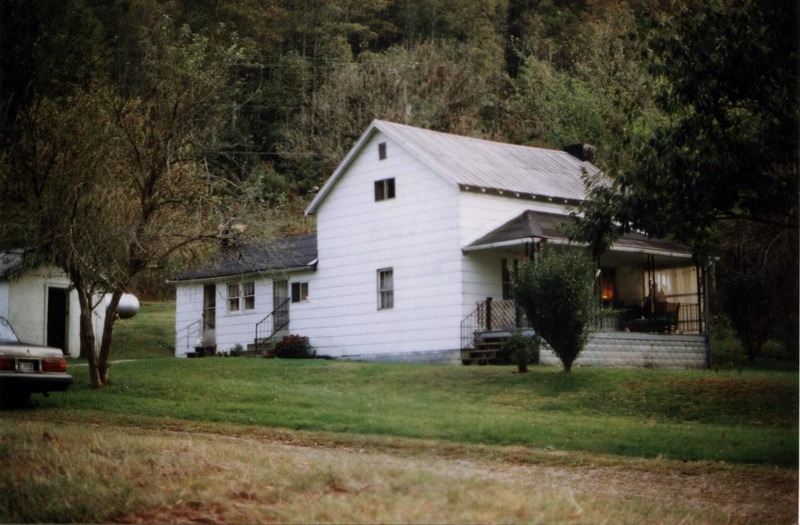 Ben Adams home and still site on Trace Fork of Harts Creek, Logan County, WV. Photo taken c.1996. 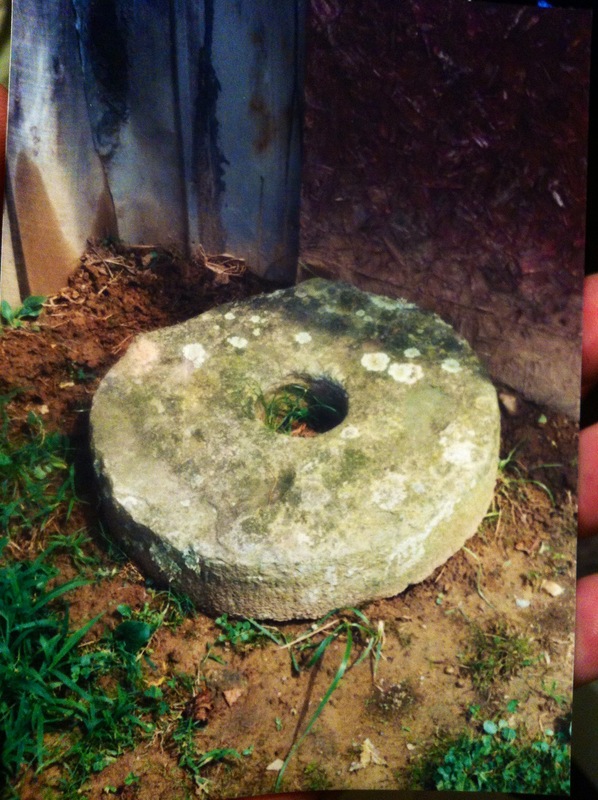 Ben Adams millstone on Trace Fork of Harts Creek, Logan County, WV. Photo taken c.1996. Ben Adams Baptism Record, Pilgrims Rest United Baptist Church Record. 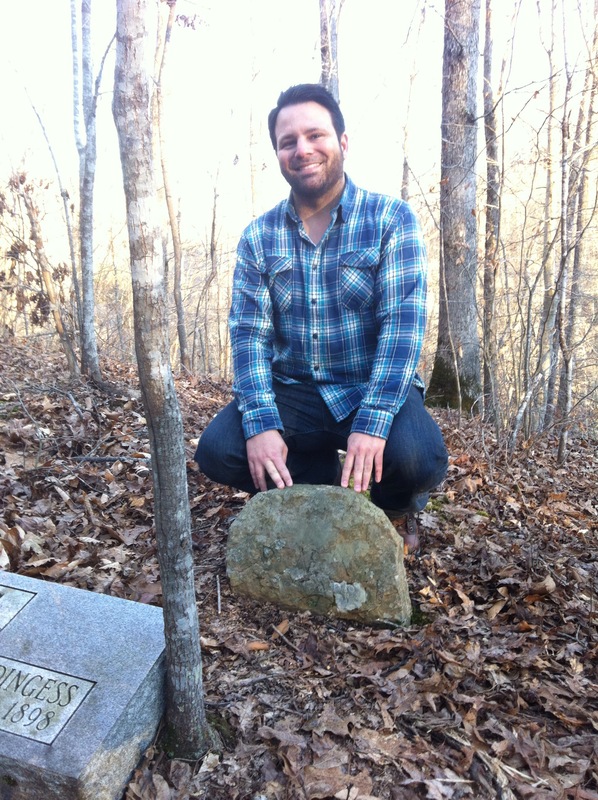 Ben Adams grave, Trace Fork of Harts Creek, Logan County, WV. October 2014. Photo by Kathy Adams. Ben Adams log cabin, Big Harts Creek, Logan County, WV. I took this photograph in 1995. I took this photograph in August 1996 on Trace Fork of Harts Creek. 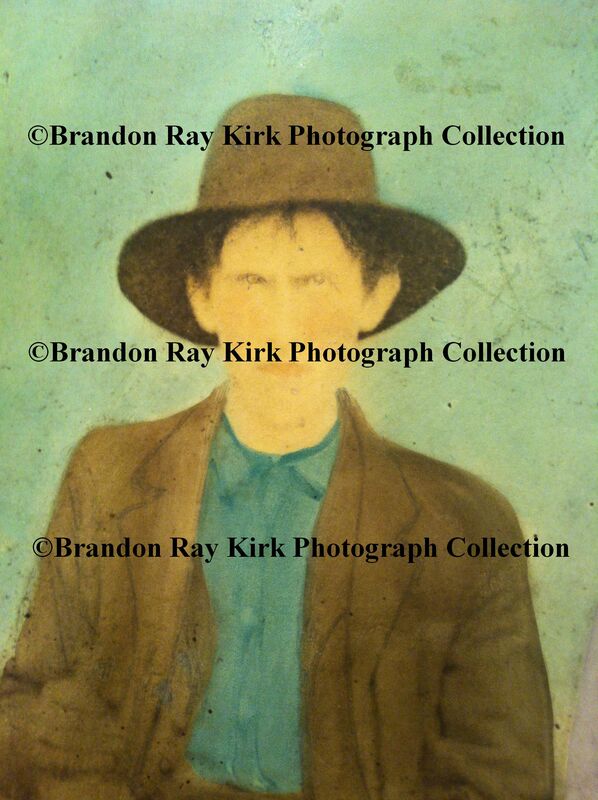 That evening, Brandon and I met up with Billy Adkins and went to see James Davis on West Fork. James lived on Spring Branch of West Fork, a little hollow just across the creek from Iris Williams. A few years back, his older brother Charlie had told Brandon about seeing Ed win a twenty dollar gold piece in a contest at the old Chapmanville High School. We found the eighty-something-year-old James laying on the couch with a little fuzzy dog crawling all over him like a monkey. He said he didn’t remember Ed, so I mentioned how he was Milt Haley’s son, which got an immediate reaction. He had heard the story of Milt’s death from Cat Fry, although he didn’t immediately offer up any details. Actually, James was hesitant to talk about the 1889 murders — almost as if the participants were still around and living next door. His answers to our questions were very evasive. We learned from James that it was Bill Fowler (not John Runyon or Ben Adams) who hired Milt and Green to ambush Al. It was all over competition between businesses. Fowler was a saloon operator and a gristmill operator, while Brumfield ran a log boom. Brumfield was himself shot in the head a few years later. French Bryant, “who was pretty hard to handle,” was also involved in the killings. Afterwards, people were afraid to touch Milt’s and Green’s bodies until Ben Walker allowed them to be buried on his property. The whole event “shook people up pretty bad.” Fowler sold out at the mouth of Harts and moved away.